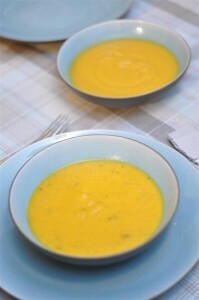 Butternut squash soup – Mmm Mmm, Good! Now that the weather is starting to get cooler, it’s a great time to start making soup. There is something comforting about having a nice pot of soup on the stovetop. 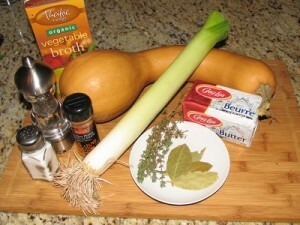 A soup that I have always wanted to try making is butternut squash soup. I love the smooth texture and the sweet flavour. It’s taken me quite a long time to get around to making this soup because I didn’t own a blender for the longest time so I never ventured into the realm of pureed soups. 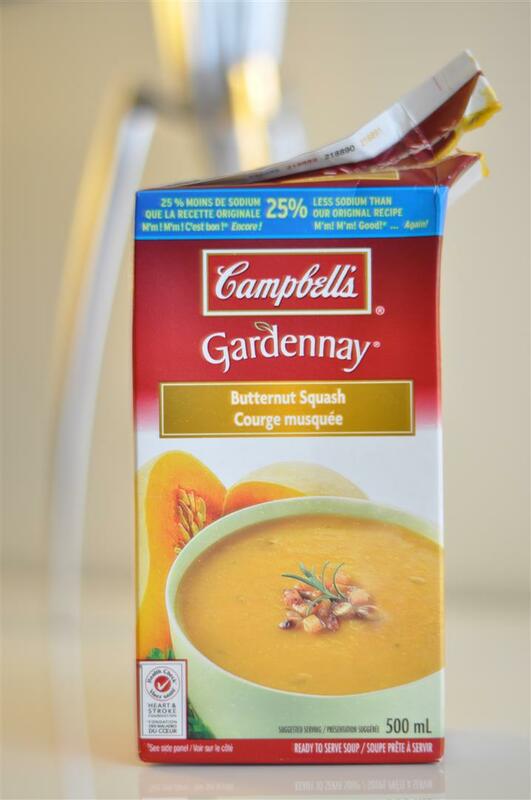 That plus the fact that Campbell’s soup sells their Gardennay butternut squash soup ready-made in a tetra pak – what could be easier? But ever since starting this website, cooking has become a lot more interesting. I will often see something at the grocery store and ask myself “How much more difficult is it to make that from scratch?” It’s become a bit of a game that I have been enjoying quite a bit. I have to say, that my confidence as a home cook has definitely gone up. Having said that, I can already name three reasons why the Gardennay butternut squash soup sold in a tetra pak has an upper hand. 1) you don’t have to deal with cutting up a squash (for some people this is just an accident waiting to happen – including myself), 2) you don’t need to own a blender and 3) it’s already made! However, homemade also has its own things going for it such as 1) using fresh ingredients and 2) costing quite a bit less. You are also able to control what goes into it (for people who are watching their sodium intake or want to tailor the recipe to suit their individual tastes). 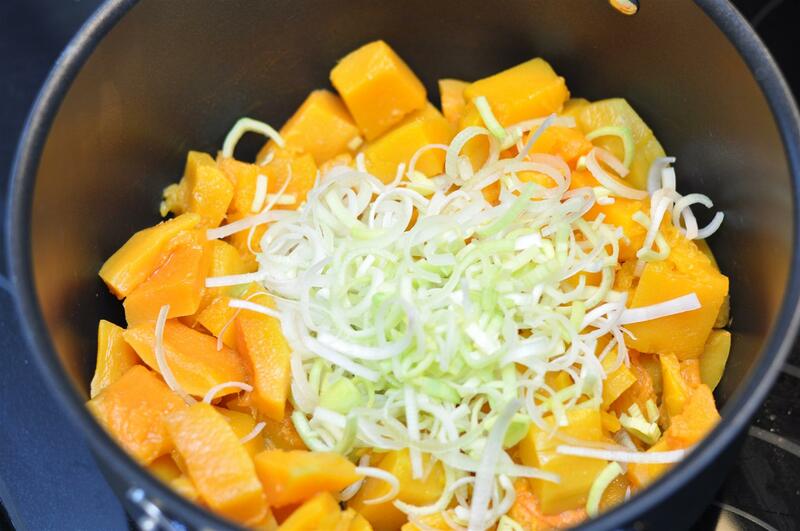 A butternut squash is quite large and you will definitely end up making a lot of soup out of it. When butternut squash is in season, you can easily purchase the ingredients to make it from scratch for the same amount of money (if not considerably less) than a carton of Gardennay butternut squash soup ($3.19). Plus the homemade version will yield two to three times as much. Having said that, both soups tasted delicious. The homemade version had a clean, light taste and the Campbell’s Gardennay version tasted sweeter with a stronger flavour and more spices. They both tasted equally good, just different. However, it takes a good 30-45 minutes just to prepare the butternut squash for making the soup. 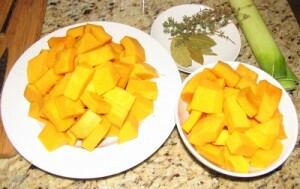 Cutting, cubing, peeling the butternut squash and cooking it (another method is to cut it in half and bake it to scoop out the flesh) are time-consuming processes. 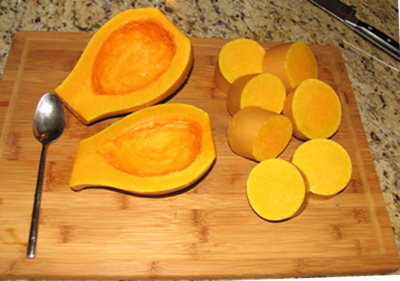 Prepping the squash (whether you decide to peel/cube or bake it) can take 30-45 minutes. 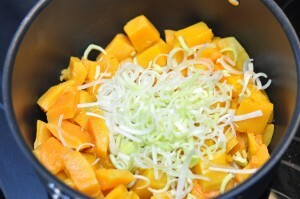 You also need access to a blender to blend it into a smooth consistency at the end. However, you do get two to three times as much soup for the same amount of money if you choose the homemade route. Good thing this soup freezes well so you can make a batch and then freeze it for later. Or if you are having a dinner party or feeding a lot of people, making it from scratch is definitely more economical and always the way to go. 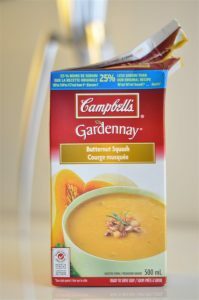 However, since I only have the occasional craving for butternut squash soup, I would personally choose Campbell’s Gardennay. For me, spending over an hour in the kitchen to make a batch of soup when I only want one or two servings isn’t worth it when I can just as easily buy a store bought version that comes in the right sized amount. If you are only making soup for one to two people, Campbell’s Gardennay is perfectly acceptable from a time-savings and taste standpoint (and for me, it’s the preferred choice). However, if you are a butternut squash soup lover, don’t mind investing the extra time and effort or need to make a big batch (and aren’t concerned with the higher sodium content) then homemade is the way to go. Just be careful when cutting up the squash and make sure you have enough time and patience to prep it. « Comparing apples to apples	» Panna cotta – full fat or skinny?